NEW YORK -- A former journalist pleaded guilty on Tuesday to cyberstalking and making fake bomb threats, admitting he threatened Jewish organizations to disrupt his ex-girlfriend's life and cause her "great distress." 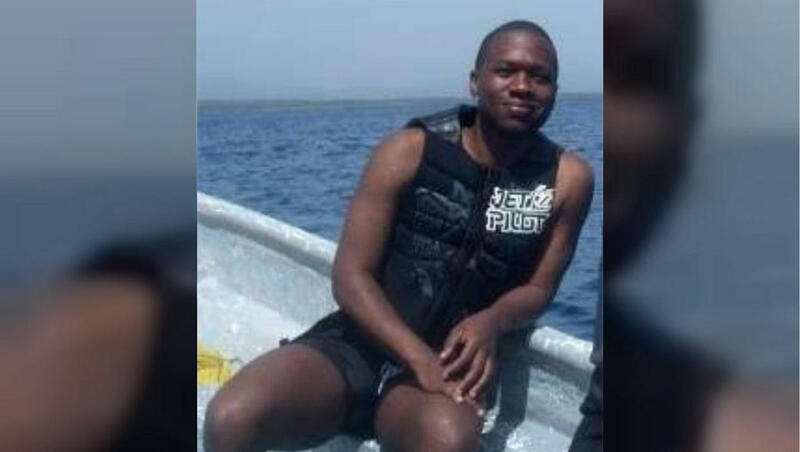 "For this, I deeply apologize," said Juan Thompson, who has remained incarcerated since his March arrest amid a spike in threats across the continent. From January to March, more than 150 bomb threats were reported against Jewish community centers and day schools in 37 states and two Canadian provinces, according to the Anti-Defamation League, a Jewish group that battles anti-Semitism. In a release, Acting U.S. Attorney Joon H. Kim said Thompson, of St. Louis, fueled "fear and distress" early this year with fake bomb threats to more than a dozen Jewish community centers and organizations nationwide. "Thompson made these threats as part of a cruel campaign to cyberstalk a victim with whom he previously had a relationship," Kim said. "Thompson's threats not only inflicted emotional distress on his victim but also harmed Jewish communities around the country." Thompson, 32, told U.S. District Judge P. Kevin Castel in Manhattan he was "slightly nervous" as he pleaded guilty to charges that each carry a potential penalty of five years in prison. He agreed not to appeal any sentence at or below 46 months, nearly four years, in prison. Thompson said he sent emails and faxes to his ex-girlfriend's employer after she ended their relationship last summer and later made bomb threats, claiming his ex-girlfriend had planted bombs. He said he committed the crimes "to disrupt my ex-romantic partner's life and cause her great distress." Prosecutors said Thompson's emails to the woman's employer claimed she had broken the law, among other things. They said Thompson sometimes used his girlfriend's name while making threats against Jewish community centers, schools or other facilities. One message claimed he had placed two bombs in a Jewish school and was "eager for Jewish Newtown," a reference to the 2012 school massacre in Connecticut, prosecutors said. The government collected evidence from about two dozen laptops, tablets and cellphones seized from Thompson's home. Thompson's first threat was to the Jewish History Museum in Manhattan, authorities have said. He allegedly made up an email address to make it seem like his former girlfriend was sending threats in his name, and also sent messages to Jewish schools in Farmington Hills, Michigan, and Manhattan and to a JCC in Manhattan, authorities said. The Council on American-Islamic Relations also received an anonymous email saying the woman put a bomb in a Dallas Jewish center. But police say it was all a hoax, created to make the woman look guilty. He also allegedly made threats in which he identified the woman as the culprit. Among other allegations, he is accused of sending a note to the San Diego JCC that said the woman "hates Jewish people and is the head of a ring and put a bomb in the center to kill as many Jews asap," authorities said.